Add warmth and ambiance to your outdoor entertaining with this sleek traditional firepit adding style and panache to your garden or patio. 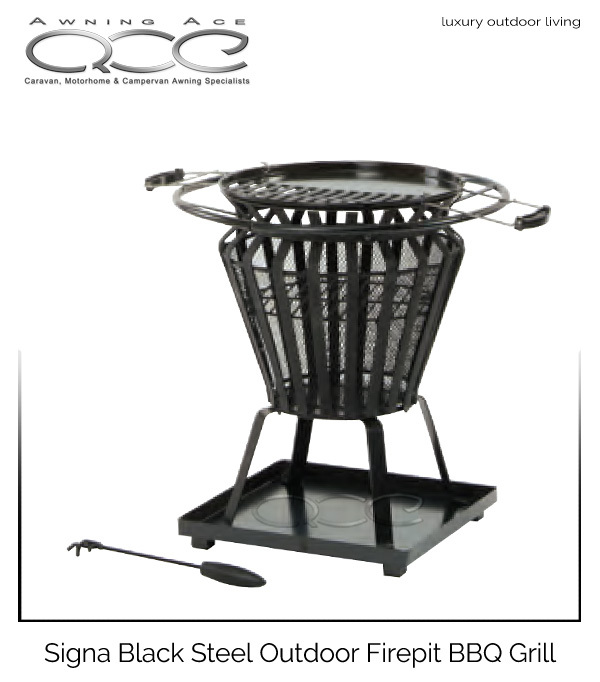 Black steel construction, the Signa is a superb fire pit with a removable BBQ grill and built-in ash catcher pan. You can use the Signa as a warm patio fire pit or place the BBQ grill on top and feed the family anytime. 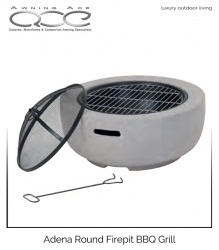 The cooking grill has handy heat resistant handles and a useful fire poker is included to complete this super set.